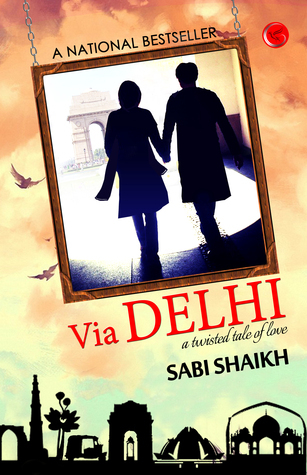 THE WRITING BUDDHA - Opinions | Books | Movies: Via Delhi by Sabi Shaikh (Book Preview)!!! The country that is proud of its "Unity in Diversity" is just a myth. Is love a deal between two religions or a pure relationship between two individuals? Saifuddin Khan was a Sunni Muslim boy who was pursuing his MBA and resided in the city of Nawabs, Hyderabad where as Mridu Bhattacharya was a Bengali Brahmin girl who was preparing for her BBA entrance exams and hailed from the beautiful city of Dehradun. Destiny strikes and they meet in the early morning hours one day in a very unusual manner and they become each others moral support in no time. Will their love story survive this ride or will it break down?Will this twisted Love story actually prove to be greater than any religion or will the Char log kya kahenge factor murder their love story?Who will be victorious in this Romantic, Bizarre, Rollercoaster Journey? Thanks. And Sorry as the review had to be taken down due to some serious reason.